Ships today if you order in the next 1 hours 4 minutes. 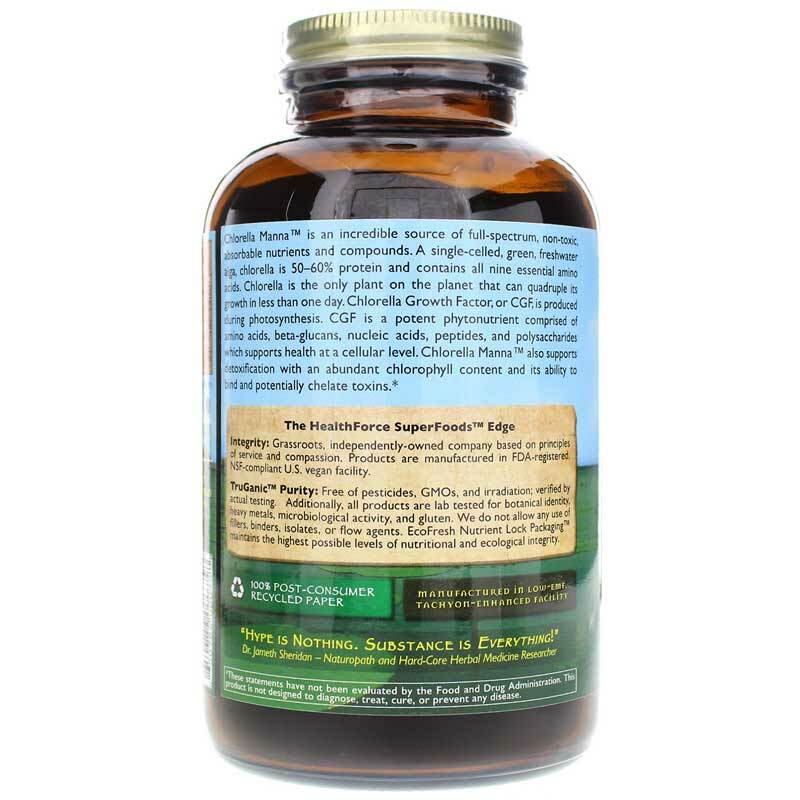 Chlorella Manna from HealthForce Nutritionals SuperFoods is a 100% vegan and radiation-free powder that is packed with amino acids, peptides, beta glucans, polysaccharides, and nucleic acids that work together to support your body's natural detoxification processes. Just one tablespoon of Chlorella Manna every day helps your body stay cleansed of toxins and improves your overall health. While one tablespoon is a healthy amount, you may use more. It can be taken alone, mixed with water or juice, or mixed your favorite foods. 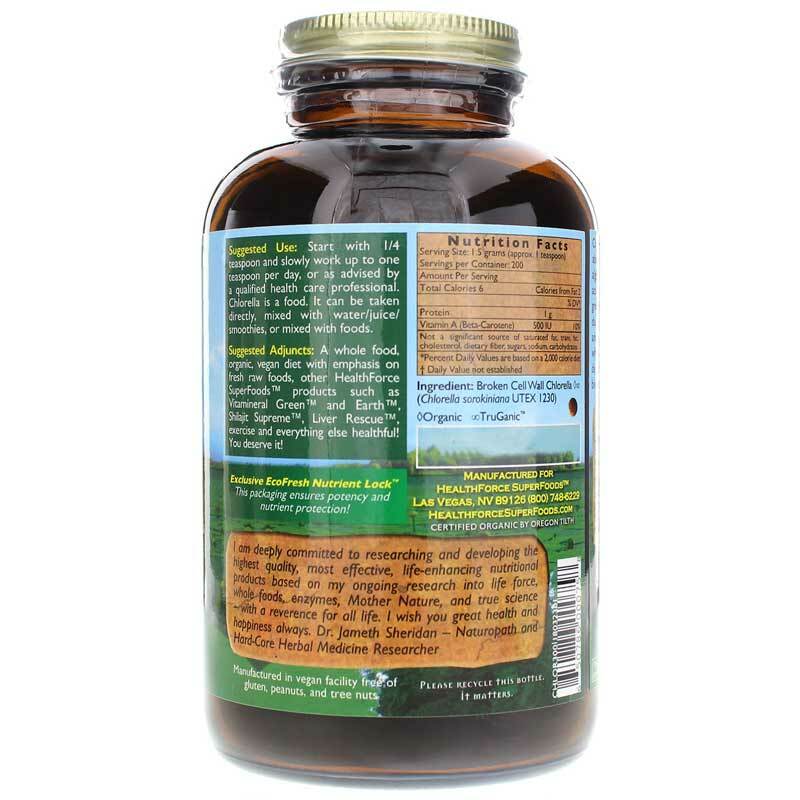 This supplement contains broken cell wall chlorella powder and is 100% suitable for use by vegans. It is also tested to be 100% clean and free of radiation. Make the choice to focus on your health while focusing on everything else that is important in life. 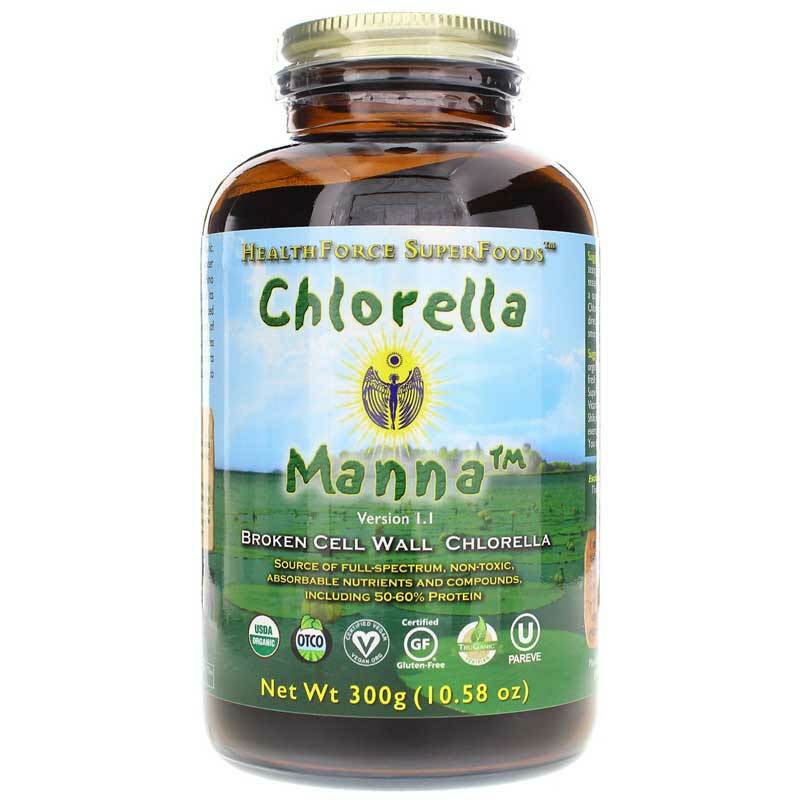 Start using Chlorella Manna from HealthForce Nutritional SuperFoods today for a happier, much healthier you! Ingredients:100% pure broken cell chlorella tablets (Chlorella pyrenoidosa). Grown by TruGanic (beyond organic) standards, and carefully dried at low temperatures to retain life force, enzymes, and other heat-sensitive elements. Adults: One tablespoon (or more) per day, either all at once or divided. Chlorella is a food that can be taken in any quantity desired. It can be taken directly, mixed with water/juice, sprinkled on salads or mixed with food. EcoFresh Nutrient Lock. HealthForce Nutritonals dark glass with unique metal lid and oxygen absorber protects 100% of nutrients(creates a vacuum). Glass is recycled/recyclable, does not outgass (see Note below) and is non-toxic to melt down. Plastic bottles and metal/foil pouches (worst and not recyclable) dramatically degrade nutrient levels. Plastic outgasses and is highly toxic to melt down. Health Force Nutritional Chlorella Manna and Spirulina Azteca are my go to algae superfoods for maintaining health and pursuing optimal health.